Come and learn free motion and ruler techniques on the B770 and Q20 machines. Quilters everywhere LOVE the excitement and fun of free motion quilting – and it’s easier than you think. 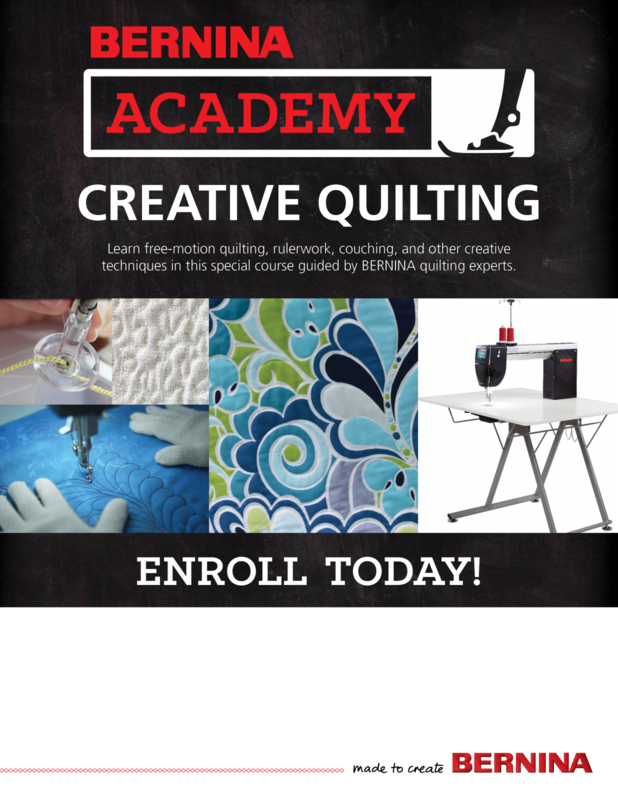 If you love precision and consistency in your quilting designs, learn how to successfully quilt your next quilt with the BERNINA Academy Creative Quilting Course at Bernina Sew N Quilt Studio. Learn the features and benefits of BERNINA Quilting machines for precise stitching. Students will be inspired and encouraged to quilt their next quilt while they learn how to successfully work with all the features of the BERNINA Stitch Regulator on the BERNINA B 770 and Q 20 sit-down Long arm Quilting Machine. *Same class just two times to choose from. Instructor Bio: Sarah, of SARIDITTY, travels nationally and internationally lecturing and teaching longarm quilting, paper piecing, and domestic machine quilting. She recently joined the BERNINA Q Series Event Team and Trade Show Team and couldn?t be happier to be part of the BERNINA family. 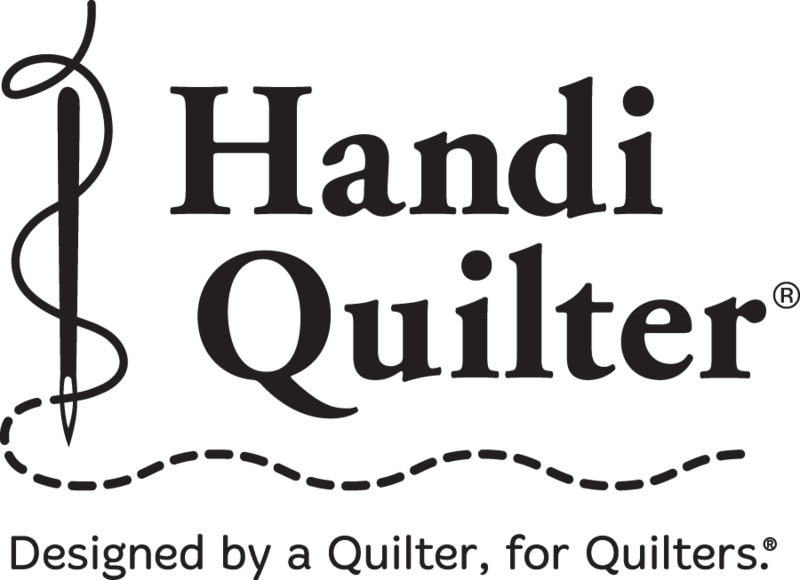 Sarah is a commercial pilot turned professional longarm quilter and designer. By the time Sarah was five years old, she knew how to cross stitch, crochet, and sew a running stitch thanks to the influence of her mother and grandmother. She did not discover her love of quilting, however, until 2014 while living in southwest Oklahoma. Being married to a military man, she has lived in multiple states and never settled into a post pilot life career. That is, until she found her outlet to design and create through textiles. Sarah often says there are many similarities between flying a plane and operating a longarm! Growing up as a huge fan of mathematics and being a self-proclaimed perfectionist, she has been able to put her keen math skills and attention to detail to use through quilt design. Sarah is thrilled to travel and share her love and knowledge of quilting with you. She firmly believes that regardless what type of machine one uses, everyone is capable of learning to custom quilt. Her goal is to equip each student with as much information and education as possible while also keeping it fun and relaxed. Sarah is an Aurifil thread designer and Brand Ambassador for both Daylight Company and Quilt-Pro. Read more about Sarah and see her gallery at www.sariditty.com.